Downloaded Application Form should be submitted in NPGC Office with all the Annexures and Demand Draft of Rs. 550.00 in favour of "National P.G. 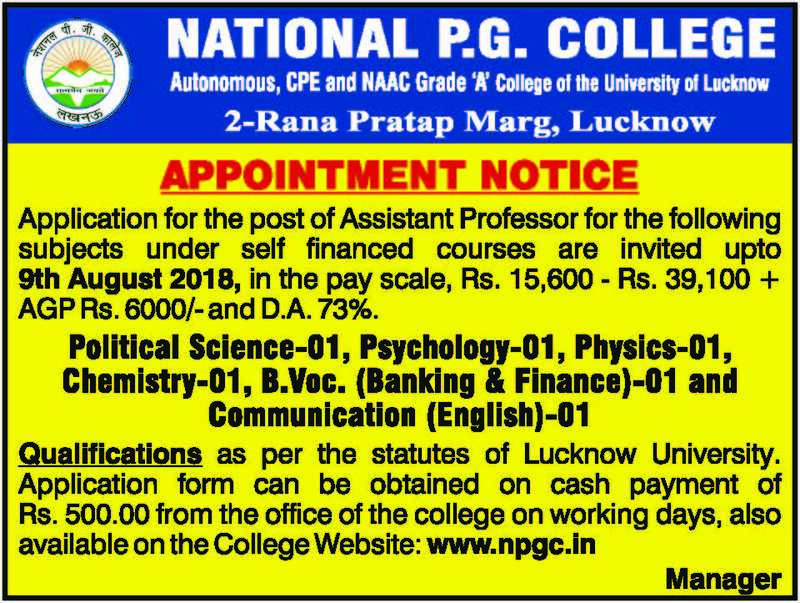 College, Lucknow" Payable at Lucknow.